Leading mental health providers gathered to share solutions to a complex syndrome. 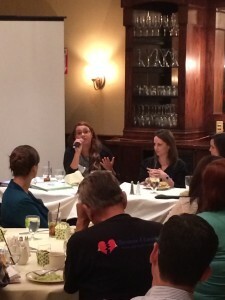 A very informative panel discussion and luncheon on “Failure to Launch Syndrome” was held on June 6th 2 2014 at Maggiano’s Restaurant in Woodland Hills. Moderated by Dr. Jessica Romeyn, the panel featured leading mental health specialists and educators including representatives from the Optimum Performance Institute, Vive, and Fusion Academy. Participants discussed the complexities of understanding and dealing with “Failure to Launch Syndrome,” and its most effective treatment approaches. While not a true diagnostic category, “Failure to Launch Syndrome” has become a popular phrase used to describe the syndrome of young adults who fall behind the pace of their peers. For one reason or another, these young adults struggle to accomplish what is expected of them at their age and or stage of life. The description and definition of “Failure to Launch Syndrome” reveal some of the obstacles we face both understanding and treating young adults with this syndrome. Put simply, “Failure to Launch Syndrome” needs a new name. As stated by Dr. Fred Peipman, “This is not a failure to launch, but a delay in launching.” But it is not just a problem of poor word choice. The name of the syndrome indicates a larger problem; it reflects a negative perception of the disorder, which feeds into the defeatism of the young adults and families who are dealing with it. The word “failure” erases the hope and possibility of success. We need to change our attitudes about young adults and their transitions into independence and adulthood, especially if we want to effectively guide their paths to success. Traditional viewpoints on where people are supposed to be and what they are “supposed to be doing” are already changing. 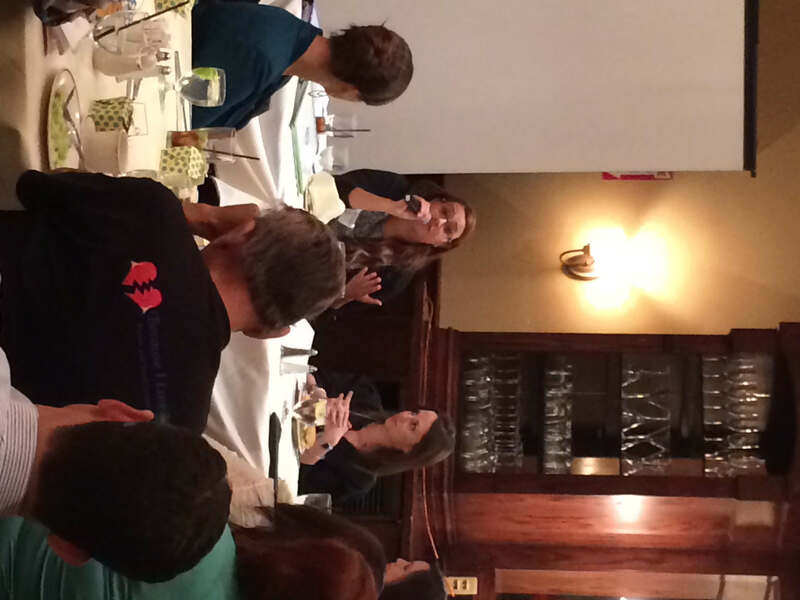 The panel discussed how transitions into adulthood are taking longer today. In fact, the very definition of “young adult” has vastly expanded. You can blame it on the economy, the changing world, or just these transitional times. And it isn’t just a product of the environment. Research has shown that the human brain is still changing and developing, well into our mid-twenties. Regardless of the reasons, the setbacks for young adults with “Failure to Launch Syndrome” are serious and require equally substantial solutions. “Failure to Launch Syndrome” requires an integrated solution that addresses the complex problem and the complex person. How do we treat the disorder and get a young adult excited about life? How do we find out what’s holding each person back, and create habits for success? Jessica Breton, LMFT and the program director of the Optimum Performance Institute, explained how the institute has been treating “Failure to Launch Syndrome” from day one of its inception, and with an integrated approach that answers all of these questions. It is one of the only programs to address all of the issues of “Failure to Launch,” and create pathways for lasting success in every aspect of life for each young adult. The Optimum Performance Institute is one of the first transitional, therapeutic institutes for young adults, and the first transformational program of its kind, anywhere. OPI uses an integrated, whole-person approach that re-engages the young adult with the creative self. It not only addresses where each person is held back, but also helps each individual find a successful, productive, joyful path forward. Ms. Breton spoke of the importance of encouraging young adults to find their “passions” and the things that bring joy. In doing so, “we create the potential for long-term transformation.” Regardless of the circumstances, OPI instills the skills and habits to launch lives forward. Jessica Breton shared the integrated approach and work of both the Optimum Performance Institute, and its more specialized OPI Intensive, which treats Borderline Personality Disorder and chronic cases of PTSD. She noted how people who suffer from Borderline Personality Disorder also often experience “delays in launching” or “staying launched.” Perhaps they get into a good school, but then have trouble making it to class. “Or maybe they are great at making new friends, but need help keeping them.” Because there are often dual diagnoses with “Failure to Launch,” and because each person has a different set of circumstances, Ms. Breton reiterated the importance of thorough, inclusive treatment plans. OPI and OPI Intensive include everything from traditional forms of therapy, skill building and educational programs, to providing opportunities to explore interests through sponsored excursions, clubs, and mentoring programs. Everything works together to energize, engage, and create a renewed sense of possibility for each person. No matter the transition, OPI provides more help. It was an extremely informative event and an excellent opportunity for mental health professionals and the larger community to come together and share solutions to a complex syndrome. This inspired the first of hopefully many conversations. The more we create opportunities for dialogue, the better we can help launch our young adults forward on their paths to success.